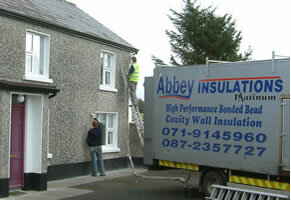 Abbey Insulation was established in 1996 and now offers a full range of insulation products to suit your requirements. Specializing in the installation of insulation materials, directly into cavity wall and attics, and timber frame houses. Our staff has over 25 years experience of the insulation market. Products we use achieve compliance under Part L 2007 Building Regulations and BER (buildings energy rating).